After terrifying audiences from coast to coast as the Closing Night Event at ScreamFest 2014 Los Angeles and Opening Night Screening at 2014 New York City Horror Film Festival, Fear Clinic, the latest excursion into unrelenting terror will be released on Blu-ray™ and DVD on February 10, 2015 by Anchor Bay Entertainment. The highly anticipated shocker stars horror icon Robert “Freddy Krueger” Englund, Fiona Dourif, Angelina Armani, Thomas Dekker, as well as Stone Sour and Slipknot lead vocalist Corey Taylor in his acting debut, and is directed by Robert G. Hall (Lightning Bug, Laid to Rest, ChromeSkull: Laid To Rest II). 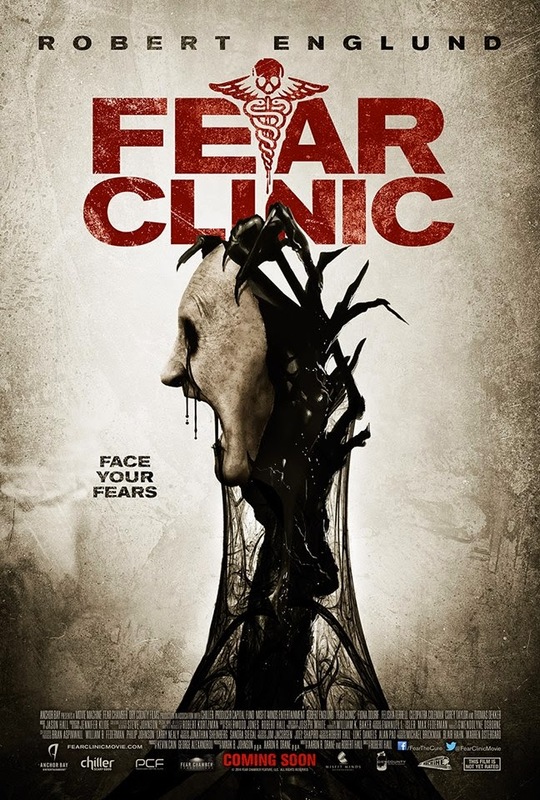 With blood-chilling special effects by award-winning FX creators Robert Kurtzman and Steve Johnson, Fear Clinic will take viewers on an unforgettable journey into the very soul of terror itself. SRP is $26.99 for the Blu-ray™ and $22.98 for the DVD, with pre-book on January 7. Co-written by Hall and Aaron Drane, the film is based on the critically acclaimed and fan favorite 2009 FEARnet.com series. Bonus features on Fear Clinic Blu-ray™ and DVD to be announced.